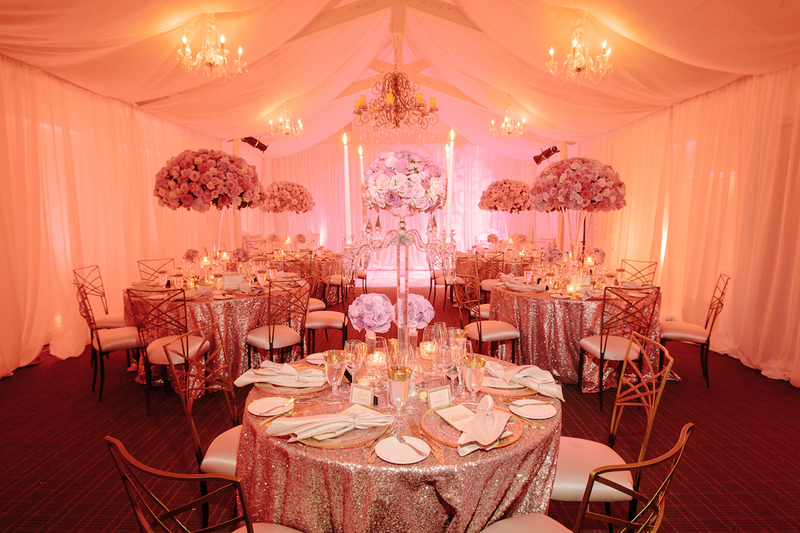 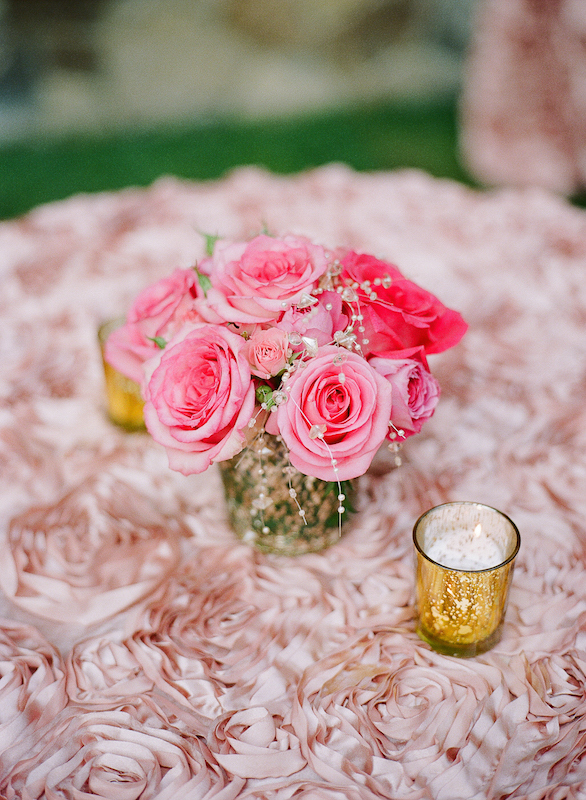 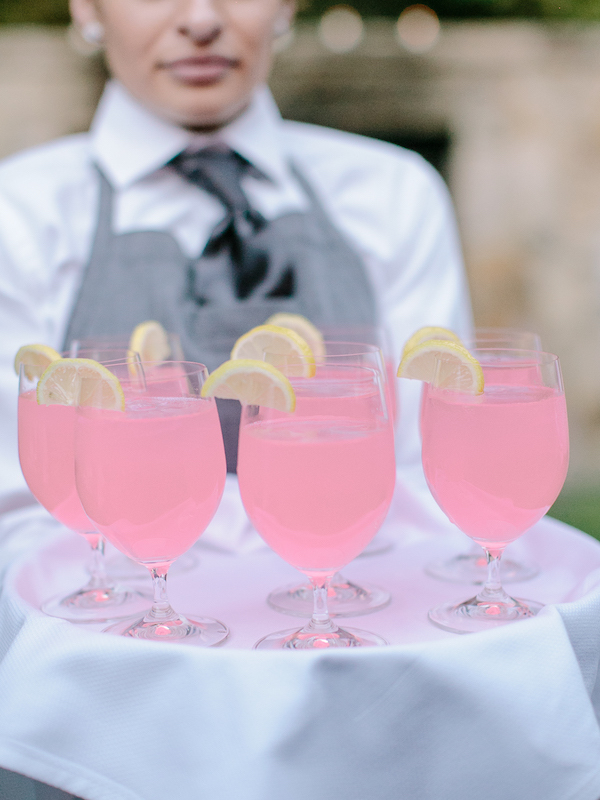 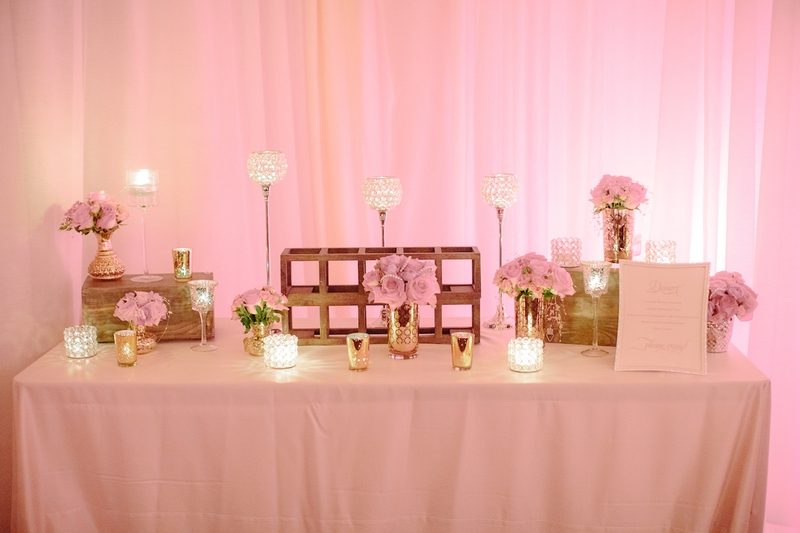 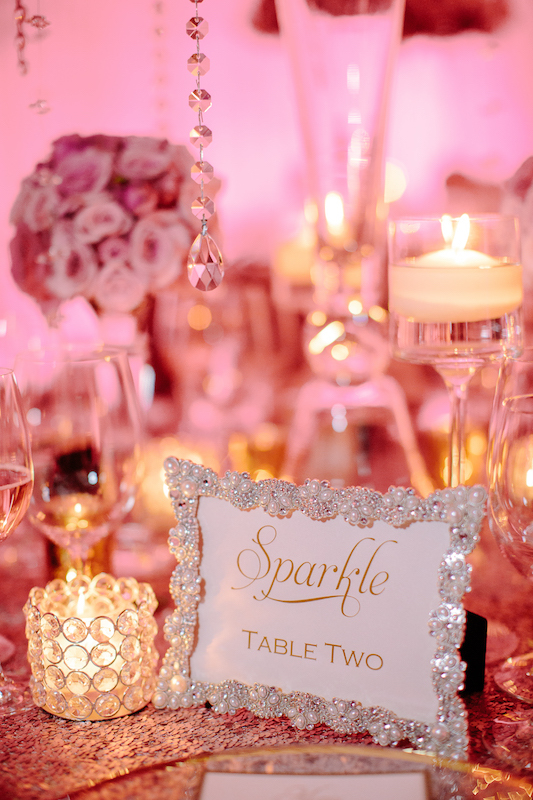 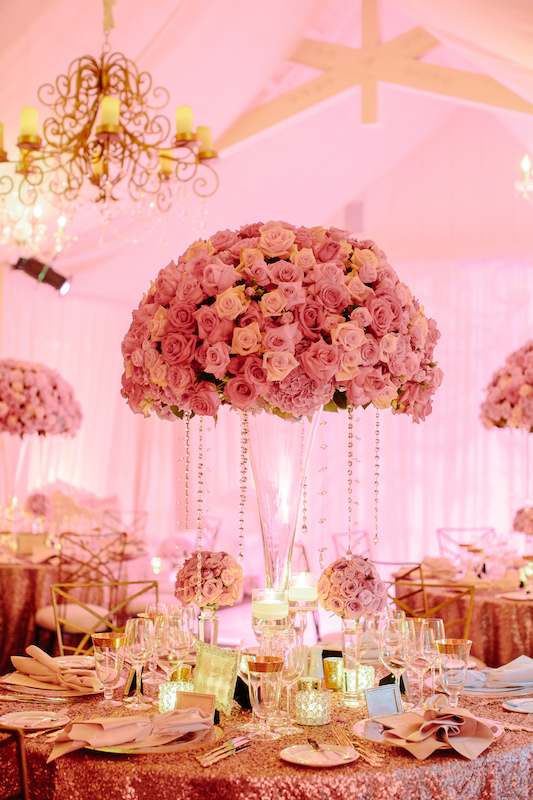 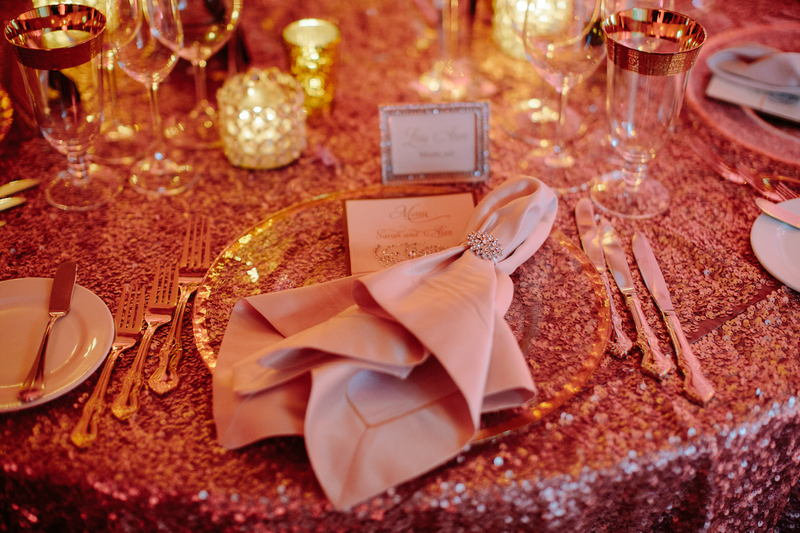 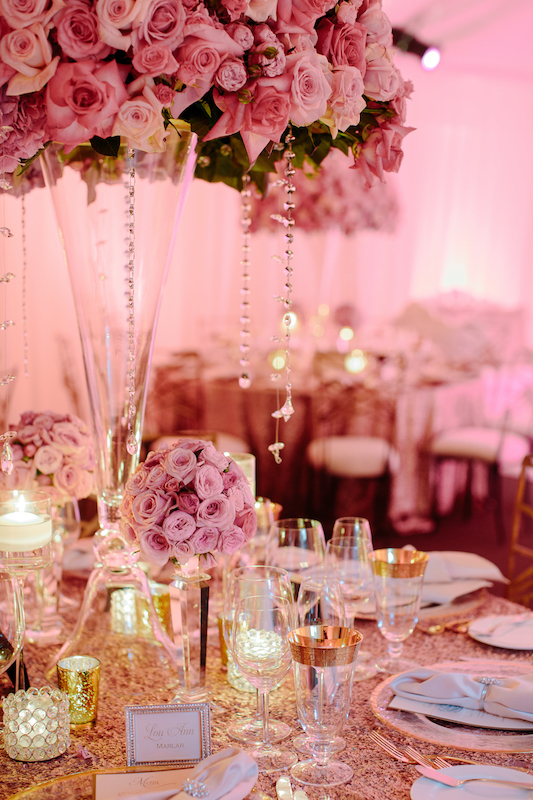 When our bride described her “vision” of her wedding day to us, she said, “If you can make my reception look like Liberace threw up, I will be ecstatic!” Sarah, a truly sincere, genuine, and bubbly bride, wanted a Liberace inspired, blinged-out, pink-tastic wedding to come to fruition. 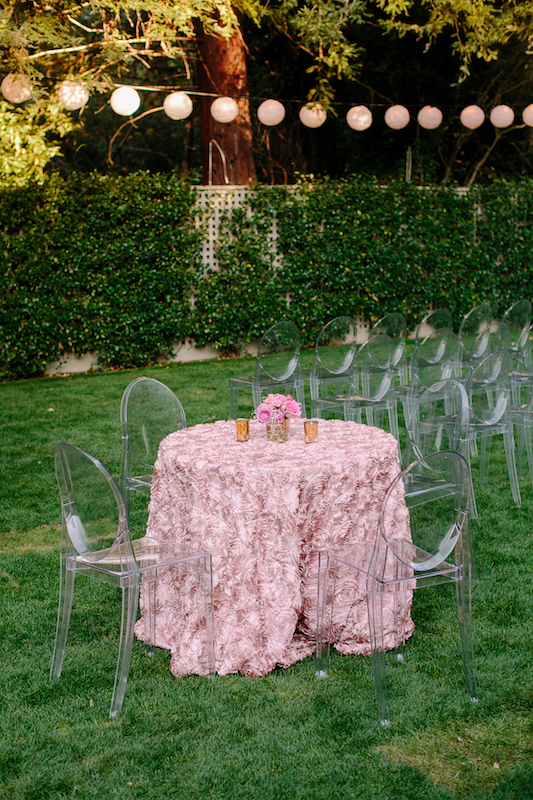 Most importantly, she wanted everyone who attended to have a heap of fun. 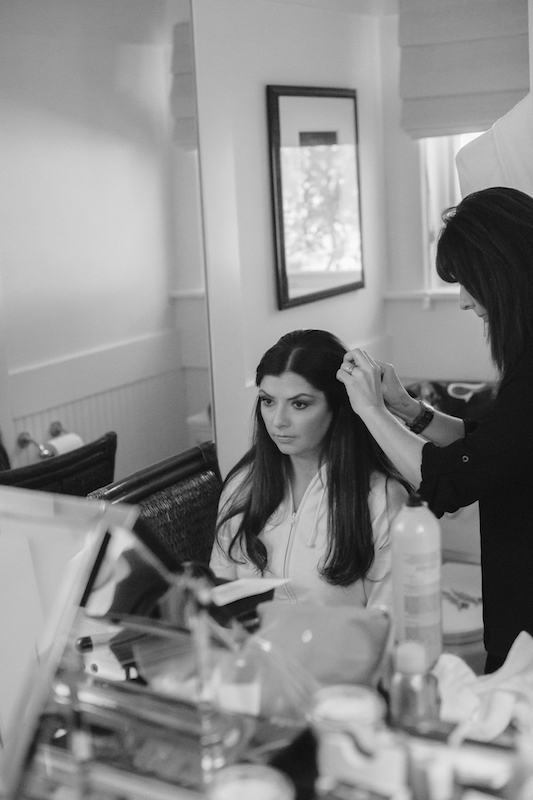 As it was an intimate ceremony and reception reserved only for close family and friends, we focused on our guests’ experience and, more importantly, we focused on achieving Sarah’s “look”. 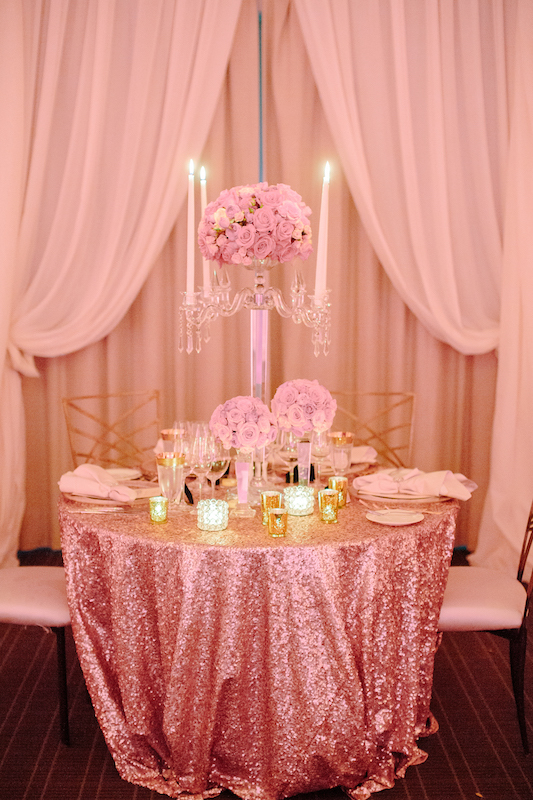 We transformed a plain white meeting room into a spectacular draped venue – complete with dripping, crystal chandeliers and Liberace inspired lounge furniture. 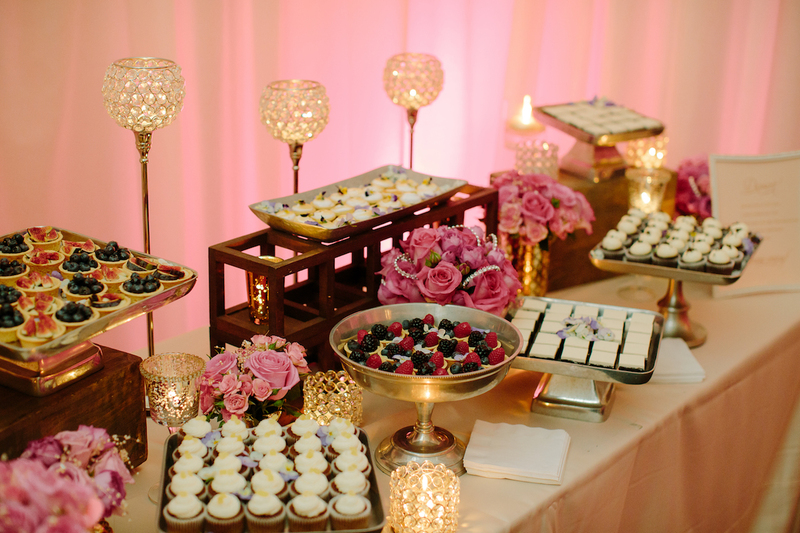 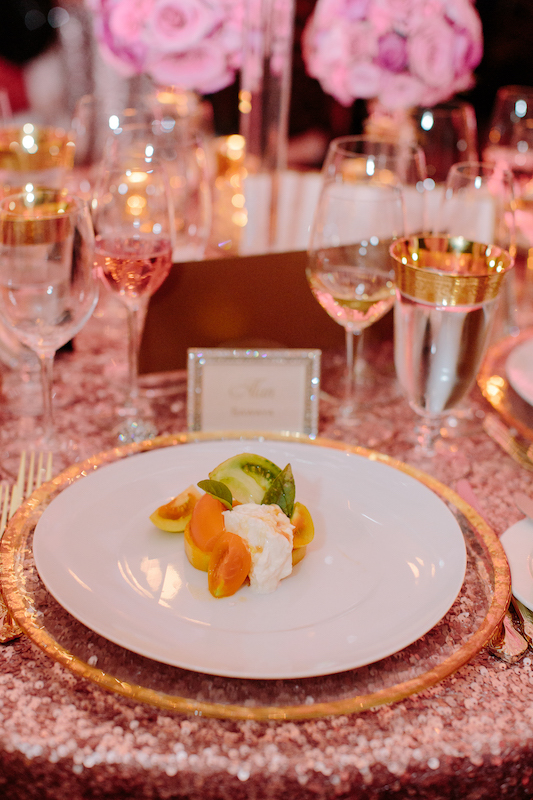 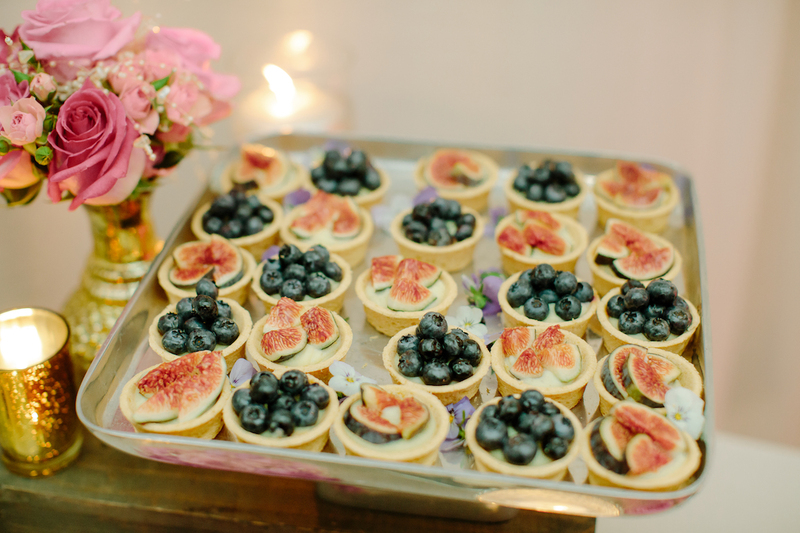 After tray passed canapés, guests enjoyed a three-course dinner followed by a scrumptious late night dessert table. 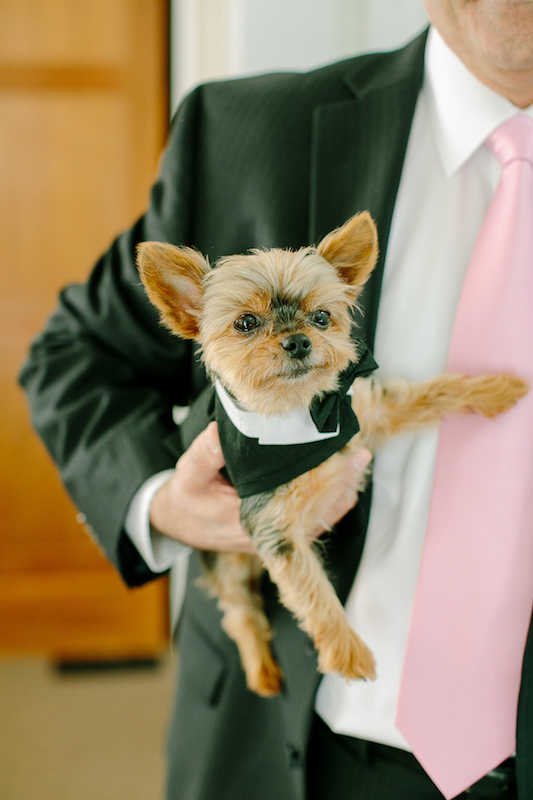 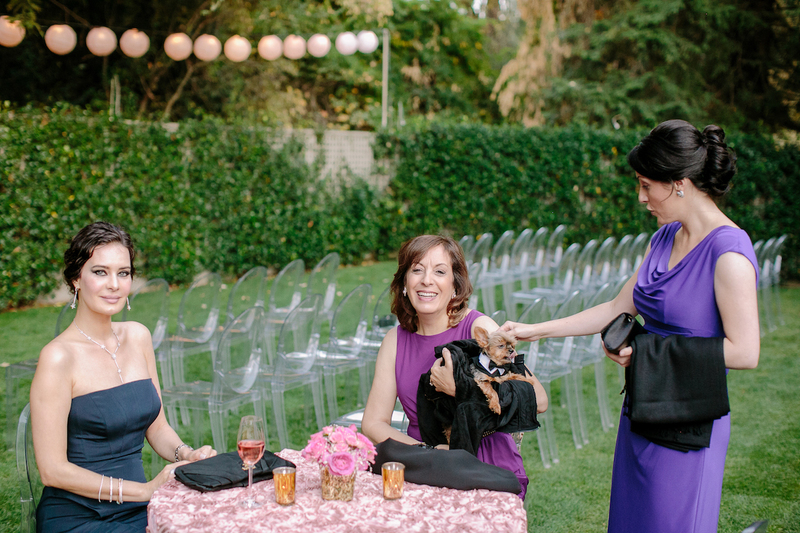 At the conclusion of the event, Sarah, Alan, their mothers and Baron von Bitsy (complete in his extra small doggy black tuxedo) handed out individually packaged mini wedding cakes for guests to take home. 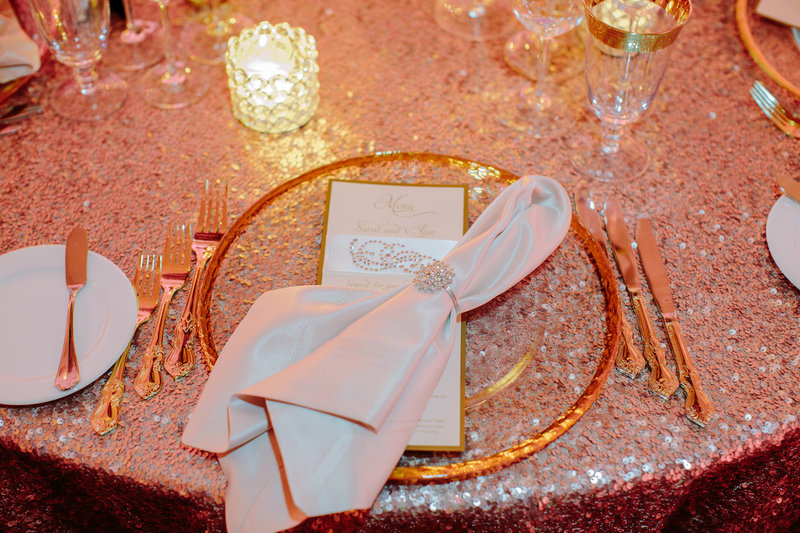 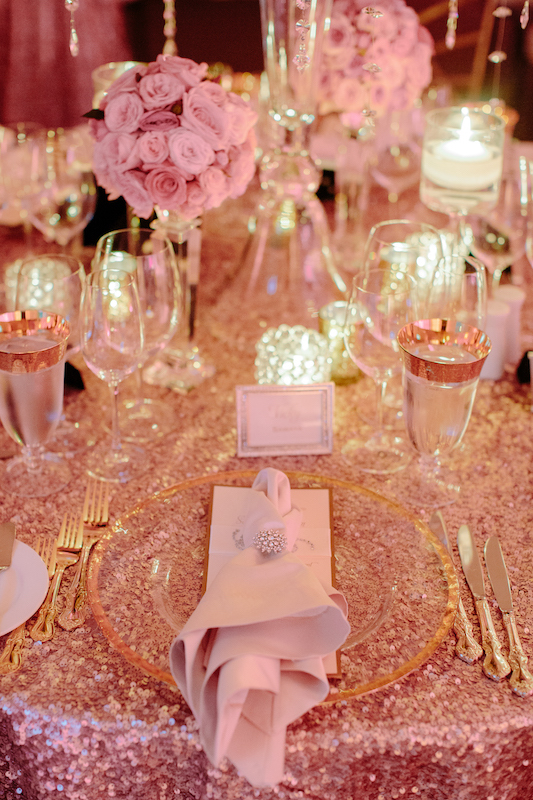 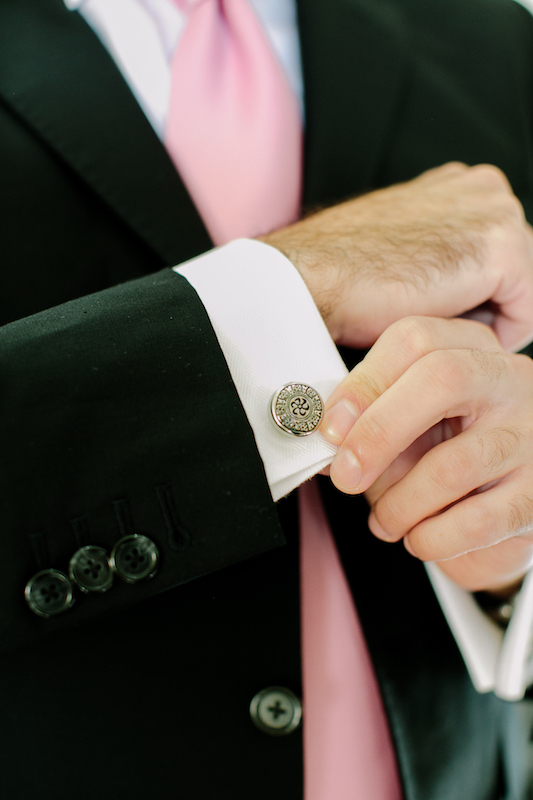 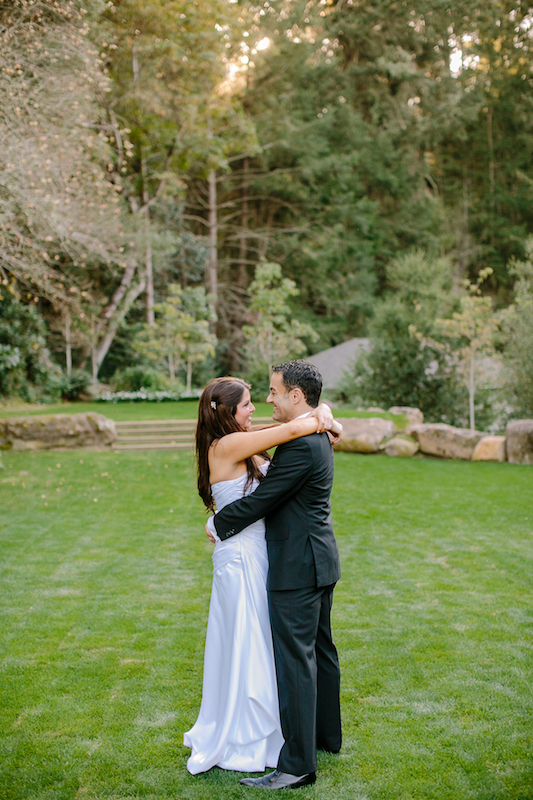 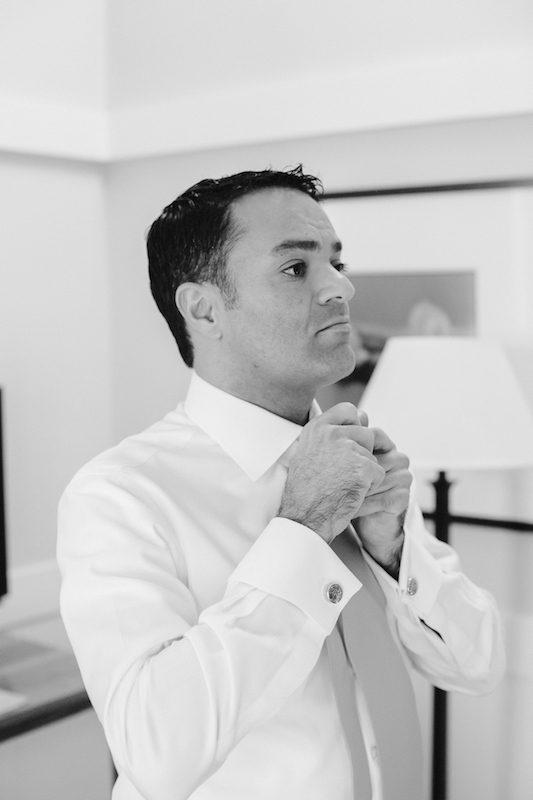 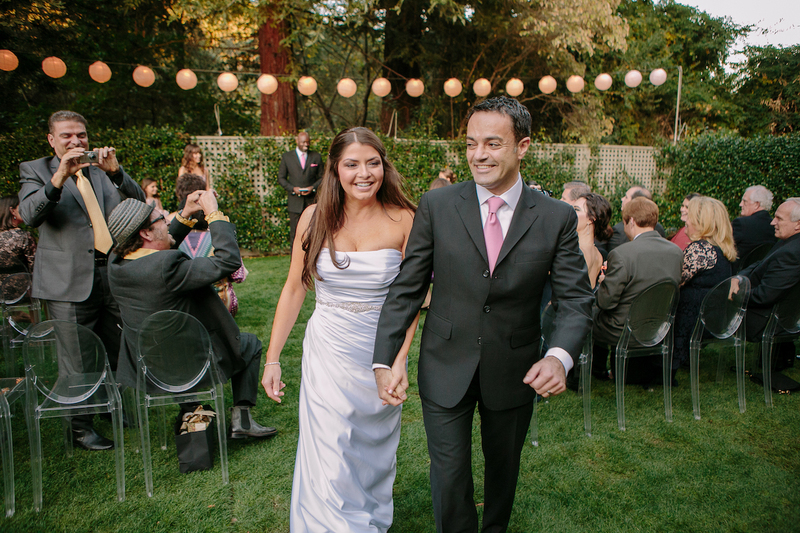 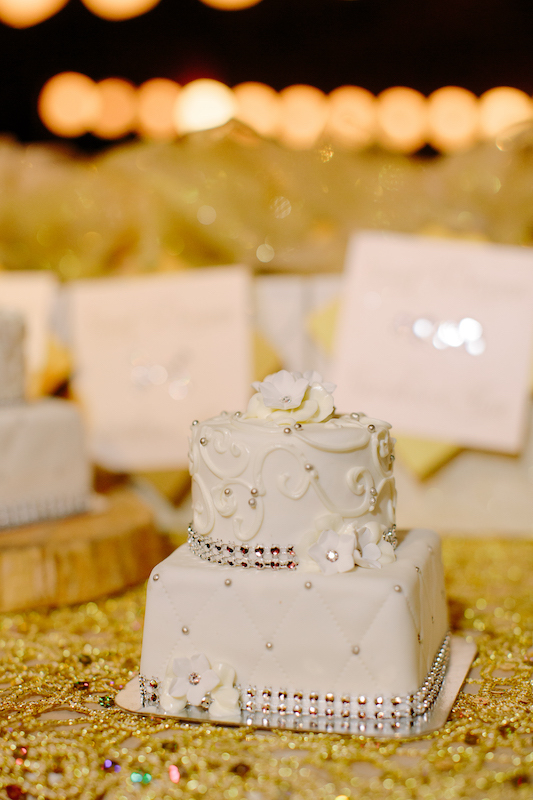 It is with fondness and a deep appreciation for Liberace that we reminisce about this wedding.